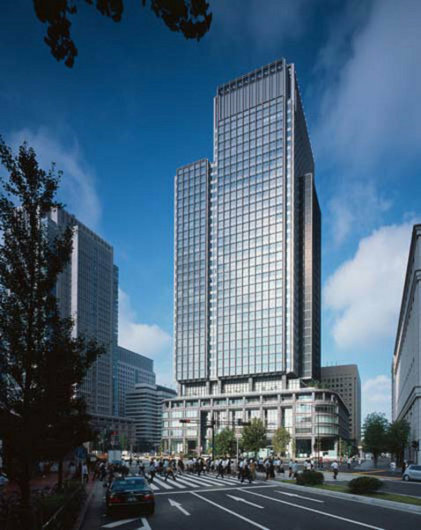 April 2007 saw the official opening of Hopkins Architects' Shin-Marunouchi building, a 198m 'skyscraper' in the Marunouchi district. Situated directly opposite Tokyo station, the gateway to Japan, and on the main ceremonial axis to the Imperial Palace, the building is arguably the most important and publicly recognisable site in Japan. The brief was to build upon an existing, 1952 constructed, nine-storey building in a truly modern style, whilst addressing the historical setting. Hopkins have created an additional 35 floors above ground and four below, offering a total of 195,000 sq metres of retail, public and office space.